Played the first ‘real’ session of the Galactic playtest on Saturday. Here’s what happened. 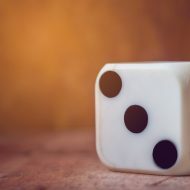 Forgive, please, the extra-super details on who rolled exactly what dice in each conflict — this is a playtest, and the game’s author has asked for lots of detail on how the conflicts balance out. Aside from that, the start of the stories are pretty cool. Coolness. Sorry the Sunday session didn’t come off (and all our stuff, including the fun quotes I wrote down, are still sitting on the Ping Pong table …).